Nova Scotia is a special place to rent a seaside cottage - we invite you to enjoy our hospitality and serenity. The Sunrise Trail of Nova Scotia has something for everyone looking for a laid back vacation experience. 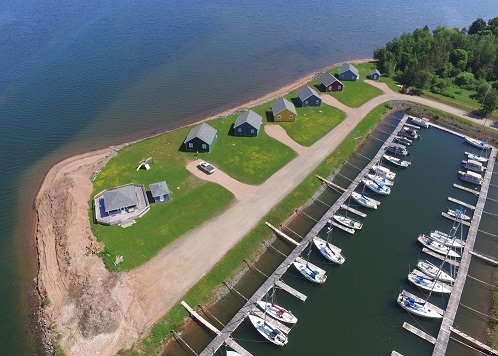 Whether you are coming by land or sea, Sunrise Shore Marina & Cottages offer the ideal place for a fun and relaxing cottage vacation in your very own oceanfront cottage. Let yourself unwind in one of our fully equipped, oceanfront cottages - a great place for couples or family and friends to watch the sailboats pass by. Our atmosphere is warm and inviting, where you can mix and mingle with local boaters, enjoy a barbeque, and make your stay a memorable one. From your rental cottage here on beautiful Barrachois Harbour, you can explore all attractions and activities the Sunrise Trail has to offer, including beaches, shopping, museums and outdoor recreation, just a short drive away. Whether you like to try some of the Maritime's famous lobster, some of its yummy maple syrup pancakes or some its finest wines, it's all here at your fingertips. During extended visits, take a day trip to marvel at our famous dinosaurs fossils; check out cosmopolitan Halifax; or a take a ferry to the world-renowned Anne of Green Gables Centre on Prince Edward Island. We invite you to come and enjoy a truly Maritime experience.